Saudi Arabia Wednesday requested that Canada presented to the kingdom ‘apology’ before ending the diplomatic dispute, which broke out last month. 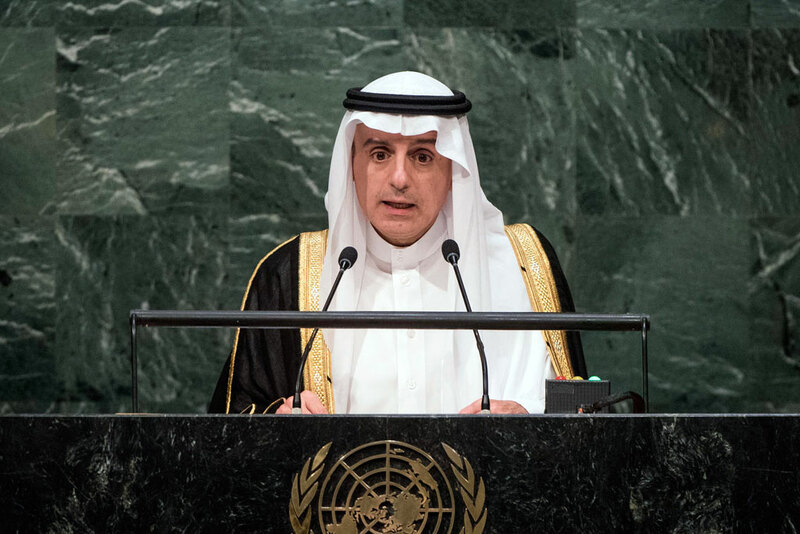 This came after Canada said Tuesday it wants to thaw ties with Saudi Arabia on the sidelines of the UN General Assembly in New York. The two countries fell apart last month after Chrystia Freeland, the foreign minister of the North American country, called on the conservative country to free civic rights prisoners. Saudi Arabia angrily reacted declaring Canadian envoy “persona non grata”, recalled its ambassador to Ottawa, and announced a series of measures including freeze of contracts and suspension of all flights of the state-own airline to Toronto. Riyadh has rejected mediation into the crisis after it was reported that Ottawa turned to Germany, the UK and the UAE to help defuse the crisis. “What are we? A banana republic? Would any country accept this?” Jubeir said. The Gulf country is seemingly taking a tougher stance in the crisis, making it clear that it refuses to take reprimands from any country. In another case, the kingdom and Germany Tuesday agreed to warm ties following nearly a one-year silent crisis that was sparked by German accusations in November over Lebanon Prime Minister Saad Hariri’s surprising resignation while in a visit in Riyadh. KSA and Germany agreed to restore diplomats after the row which cost dearly to German companies that had been barred from bidding for contracts in the largest Sunni country.